Getting funding is no easy task in the television and film industry at the best of times. For television and film on digital platforms, financing can be even more difficult. Chalk it up to the ever-changing nature of the online platform (first you had desktop, next it was smartphones and tablets – what’s next: Virtual reality? Smart watches? Holograms?). Of course, the constant evolution in what, when and where audiences are watching, combined with the rapid rise in digital streaming companies, make it an exciting, albeit difficult category for those looking to break into the online content sphere. The massive influx of digital content, while great for the platform has meant that competition for traditional sources of funding is also heating up, with more companies than ever competing for an amount of financing that has remained relatively unchanged. Funding generally breaks down into a handful of models. Direct funding is state-sponsored (nationally, provincially or perhaps at a city-level), typically from government-mandated cultural budgets, which according to the CMF are typically constrained and highly regulated with restrictive access. Tax benefits, incentives and guaranteed loans are considered indirect public funding models for producers. Industry taxation and redistribution is another model, which applies to companies that benefit from the broadcast or exhibition of the content. These companies are typically mandated by governments to collect taxes (for instance on ticket sales) or redistribute a portion of their profit (for instance on television subscription services) back to the production community to help fund the industry. There are also a number of ways to get funding privately: this can include venture capital (VC) funding and angel investors, in which companies and individuals bestow money onto a project, often in exchange for equity. Brand-led funding is becoming increasingly popular, with large companies putting money towards audio-visual projects in exchange for product promotion or some form of editorial control over the end result. Bank and personal loans, philanthropic organizations and crowdfunding are also common tools in the filmmaker’s funding toolkit. Within the Canadian context, the smaller overall audience and proximity to a much larger content producer to the south exasperates access to funding. Unlike Silicon Valley and other pockets of the U.S., the venture capitalist and angel investor culture isn’t nearly as prevalent in Canada. What’s more, while ad dollars do flow into digital content, the smaller audience (and often smaller budgets of Canadian brands) means funding hasn’t (and may possibly never) reached critical mass. Jay Ferguson, CEO of independent Canadian production company Mira Media, points to a recent series, Guidestones, as a prime example. The series, an Emmy-winning mystery that unravels a conspiracy kicked off with a murder, had number of brand partners, he says, including Samsung, Blackberry, Pizza Pizza and the Blue Jays. But it still wasn’t enough to finance the entire project, which was largely funded through the Independent Production Fund (IPF). He points to a recent co-production with New Zealand-based production company Thedownlowconcept and Canada-based iThentic Canada, financed by the CMF, as a prime example of what is made possible through these organizations. The Nations follows two comedians as they compete in absurd social-media request challenges to determine which country (Canada or New Zealand) is best. Despite soon-to-launch distribution by the CBC, the series wouldn’t have been possible if not for the CMF and the co-production matching fund between CMF and NZ On-Air. The funding system in Canada is quite diverse. Both the CMF and the Bell Fund, for example, operate funds that require a linear television element. 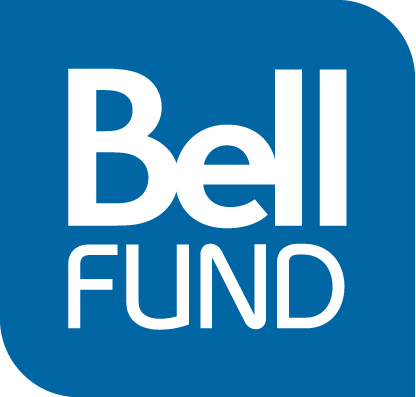 The CMF also operates a fund dedicated to innovating digital content and software applications, while the IPF and sister co. Cogeco Fund, are dedicated to financing scripted series (the IPF is for dramatic web series; the Cogeco Fund is for web series development and television production). Nearly 1,000 projects per year are funding through the various privately, publicly and independently sponsored funds. And despite the challenges and crowded digital market, the Canadian film and TV space is doing well online. For example, the IPF-funded Space Janitors, is seeing success, says Davin Lengyel, creator of the series and founder of production company Space Mop. The series, which follows two janitors aboard a spaceship manned by an evil empire, was picked up on YouTube channel Geek & Sundry and averages more than 150,000 views per episode (approximately eight episodes a season, for three seasons). The show has also nabbed some brand sponsors (a brand manager at computer security software and fan of the show WatchGuard approached Lengyel for product integration), while a crowd-funding campaign netted more than $60,000 for the series’ third season. Additionally, the show got syndication through Viewster and Amazon (though no release date have been set yet). Canadian content is besting the award circuit as well. At last year’s Marseille Web Festival, seven of the eight winning series were Canadian, including the Grand Prix, which went to Michaelle en Sacrament, from Montreal producer Frederique Elisabeth St-Pierre. This opened up the opportunity for Lengyel to flip the model. Rather than launch a series on TV and add a behind-the-scenes digital component, he took the five-minute “making of” documentary and made it for linear. The mini doc shows how to build a fight scene using lessons from Kung Fu, and those who are interested are pointed online where they can watch the five-part series of the same name, in which a young woman learns the art of Kung Fu to avenge her father’s murder. While the mini-doc currently airs on Canadian linear channel Omni, the digital series hasn’t officially launched yet. It has, however, already started racking up the award wins, including three at the recent Action On Film festival in L.A.
As more content than ever streams online, a focus has shifted towards marketing and discoverability. While the various Canadian funds have all required marketing plans of their prospective projects, there’s been a shift towards even more nuanced plans that are developed specifically to attract digital audience. Historically, much focus has been on social platforms, but it’s not enough, says Andra Sheffer, CEO of the IPF and the Cogeco Fund. Producers typically would have considered their primary target to be the end broadcaster — in effect, they were business-to-business companies. Now, with the reduction of linear broadcaster participation (which, traditionally, handled the marketing efforts), more emphasis needs to be placed on connecting with the end-audience. This means, producers need to do a better job at identifying who exactly will be consuming their content, and how best to engage with them in that pursuit. That can mean anything from more social media interaction, the ability for fans to influence storylines, or a better understanding of which platforms the intended audience is actually watching. (You wouldn’t put a beauty-blogger series on Geek & Sundry, for example, unless perhaps it was a how-to series around cosplay). Increasingly, producers are turning to crowdfunding as a means of financing projects or validating an audience in order to pitch to a financing partner, says Catalina Briceno, director of Industry & Market trends at the CMF. While the most famous example of this is the Kristen Bell-starring Veronica Mars movie (capturing $2 million in less than 10 hours, with an overall funding of more than $5.7 million), it’s an increasingly popular avenue for producers. With more than 1.1 million projects crowdfunded annually (according to the last available data from 2012), film and performing arts were the third-largest funded category, capturing roughly 12.1% of all funds, representing almost $325 million globally. Film and performing arts have a 40% success rate of meeting funding goals (on Kickstarter specifically), though receiving financing isn’t necessarily the only end goal for these platforms. The CMF found that market research (in which a successful campaign can be a measure of how well a film may be at the box office) and pre-audience building (in which companies can capitalize on the hype around crowd-funding campaign) were important measures of success. Check out more research into crowdfunding on the CMF’s website.